The Frederique Constant SA company is established in Geneva, Switzerland, in its current form in 1988 by the Dutch entrepreneur Peter Constant Stas and his wife Aletta Francoise Frédérique Stas-Bax. 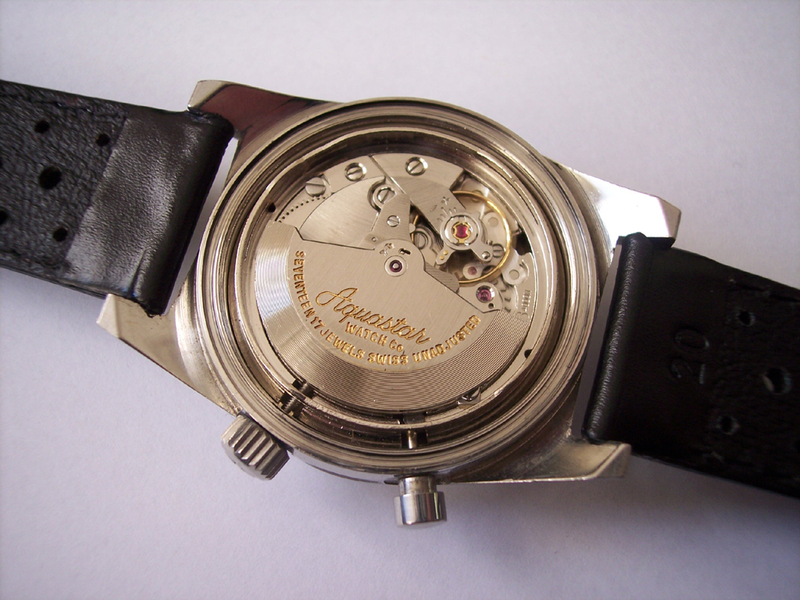 The brand is involved in all the stages of watch production, from initial design to final assembly. Their first collection was launched in 1992. At the 1996 Olympic Games in Atlanta, the Olympic Committee changed the countdown system for starting yacht races. With an increase in the number of boat categories over the years, the time for successive starts had become too long. So it was decided to reduce the intervening time gap from 5 – 10 to 3 – 6 minutes. 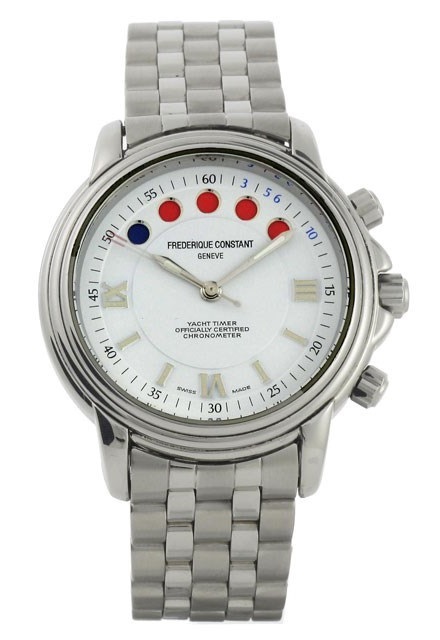 The Frederique Constant Yacht Timer was the first watch to integrate these new racing rules. Frederique Constant developed their new Yacht Timer quartz movement together with Herbert Derksen of Tack and Gybe International (TNG), the former helmsman of the Dutch Olympic team’s Tornado sailboat. 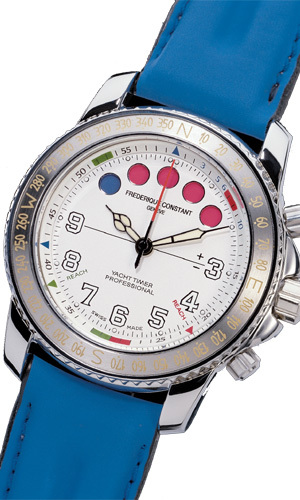 It is fitted with a countdown function that can be set at 10, 6, 5 or 3 minutes, shown by the coloured balls as the earlier automatic regatta movements have. Besides the visible going of the countdown it is also audible. Both Frederique Constant and TNG have patented the new movement, you can download the patent here. 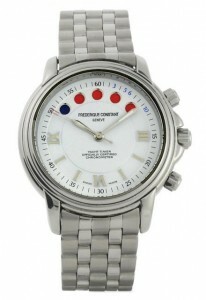 Model: Frederique Constant Yacht TimerTM. Caliber: quartz FC-298/2P movement by Frederique Constant and TNG. Case size: Ø 37 mm / 12 mm and 18 mm strap (stylish version). Ø 40 mm (sportive version). The line of different models is divided into two main models. The more stylish ones with a round Ø 37 mm case and the more sportive ones with a unidirectional bezel with compass ring, case Ø 40 mm. 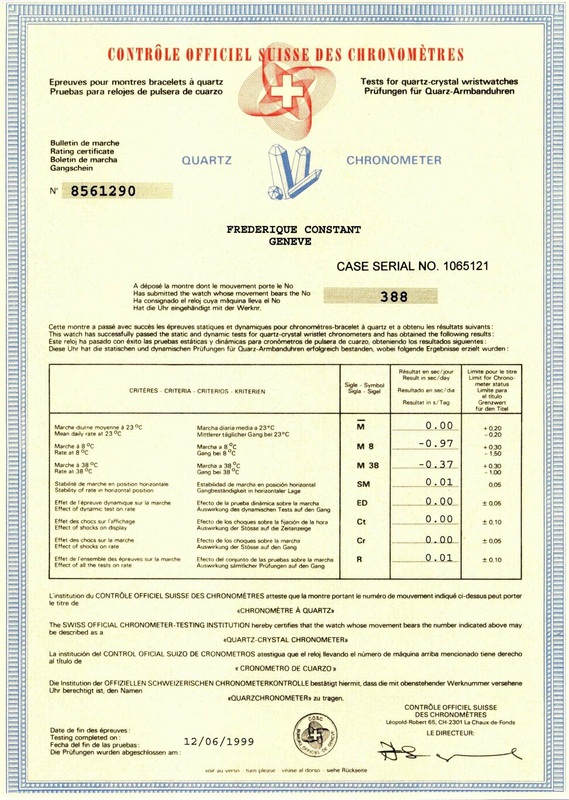 The first are officially certified chronometers, and were delivered with a test certificate. 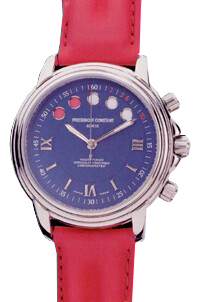 You can download a brochure of the Frederique Constant Yacht Timers here. You can read the users manual of the Frederique Constant Yacht Timer here, and learn how the countdown system works. Test certificate delivered with the more sportive model.